Hon. Nate Holden (Retired), is currently serving on the Transition Team for California Attorney General Kamala Harris on the Environmental Justice Committee. 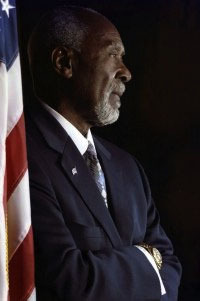 Holden served more than 30 years in the public sector, as a Los Angeles City Councilman, California State Senator and as Assistant Chief Deputy to the Los Angeles County Supervisor. 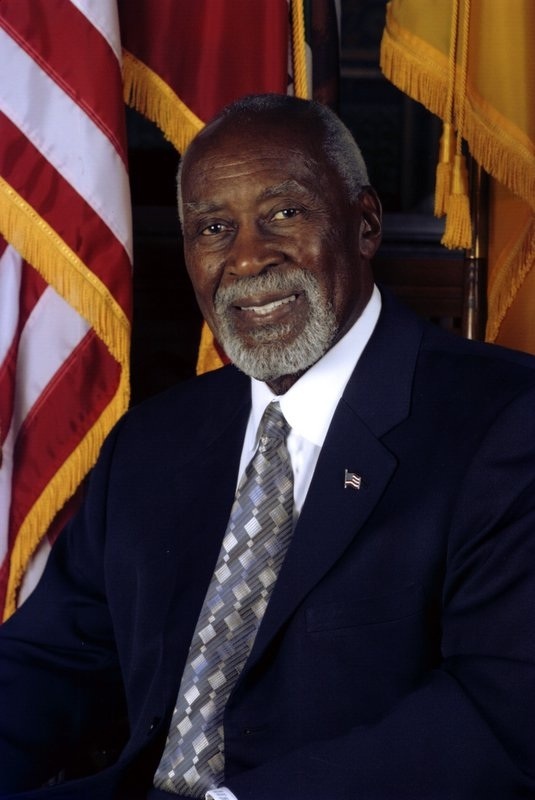 Holden served four consecutive terms on the Los Angeles City Council (1987 to 2003) representing the 10th District. As a City Councilman, he served as Chairman of the Air Quality and Waste Management Committee and eight years as the Chairman of the Transportation Committee. Holden served as Chairman of the Inter-Government Relations Committee and Vice-Chairman of the Police, Fire and Public Safety Committee. Holden also served as a member of the LA County Transportation Commission (LACTC), and as a member of the LA Metropolitan Transit Authority (LAMTA). As a Councilman, Holden introduced a publicly funded program that reduced illegal firearms in Los Angeles through a unique buyback effort in cooperation with the Los Angeles Police Department. Holden also introduced an initiative into Los Angeles law that required all children's toy guns be brightly colored so as to not be confused with actual weapons. He was the driving force behind the rebuilding of the Crenshaw area following the Los Angeles riots in 1992. Councilman Holden has always had a keen interest in building stronger trade relations with countries in the Far East. At the invitation of the Taiwanese government, Holden joined a conference on international trade. Holden was also invited to Japan on a goodwill mission, representing the City of Los Angeles. In addition, Holden was invited by the order of the President of Korea to join him at his inauguration. Holden established a relationship with the Korean Chamber of Commerce, visiting many of their industrial sites for manufacturing and trade industries such as automobile manufacturing, clothing and commodities. Holden also visited and consulted with Canada, where he provided insight on modernizing their mass-transit system. Holden frequented Jamaica, and contributed to that country's recovery, particularly its essential public services, during the aftermath of Hurricane Gilbert in 1988. Holden also represented the City of Los Angeles in Berlin, Germany as an invited dignitary of that city's mayor, honoring the 25th anniversary of Los Angeles' sister city program that it shares with Berlin. Holden visited Israel's west bank as a goodwill ambassador and met with Israeli citizens to better understand the struggles in that region. During that visit, Holden met with Jerusalem Mayor Teddy Kollek, known as a founding father of the State of Israel, discussing the structure of Israel's government. On the same trip, Holden journeyed to the U.K. with a delegation representing the Los Angeles Marathon, by running in the London Marathon. Holden previously served four years as a California State Senate or (1974 to 1978) representing the 30th Senate District, where he authored and co-authored more than 70 bills that became law. While in the Senate, he served as Vice-Chairman of the very important Public Utilities Transit and Energy Committee, Chairman of the Select Committee Rapid Transit of Southern California and Chairman of the Elections and Reapportionment Committee. Senator Holden authored the bill establishing Dr. Martin Luther King's birthday as a California State holiday. In the State Senate, Holden established himself as a champion of consumer rights, health care for the needy, senior citizen services, full employment programs and quality education. His legislative accomplishments included measures that addressed the genetically handicapped, anti-redlining on home mortgages, the Credit Denial Disclosure Act of 1976, increased funding for inner city schools, the creation of Baldwin Hills Regional Park, proliferation and control of liquor stores and property tax relief for senior citizens. Holden also supported the "Use a gun, Go to jail" law, as well as measures that dealt with mandatory jail sentences for anyone convicted of a crime against a senior citizen. In addition, Holden voted to reduce state income taxes by $1 billion. He authored a law ensuring fair treatment for citizens requiring paramedic attention. Prior to his term as State Senator, Holden served as Assistant Chief Deputy to then Los Angeles County Supervisor Kenneth Hahn for 12 years. During his tenure, Holden served as a Vice-Chairman of the Rapid Transit District (RTD) and served as a Member of the Department of Transportation Advisory Committee for the State of California. Holden was honored in 2003 when the Nate Holden Performing Arts Center in Los Angeles was named after the Councilman. Before entering politics, Holden spent 17 years as a design engineer in the aerospace industry where he was assigned to innovative projects, including the Surveyor Lunar Landing spacecraft mission. During that period, he worked for several aerospace companies, including Bell Laboratories, Hycon Corp., Litton Industries, Electro Optical Systems, GM Giannini and Hughes Aircraft. Holden is a U.S. Army Veteran having served in the Military Police Corps during World War II, stationed in Germany and Italy. He earned a Bachelors of Science in Applied Physics and a Masters of Science in Systems Engineering from West Coast University in Los Angeles. Holden also received an Honorary Doctorate from the Southwestern University School of Law as well as an Honorary Doctorate from Pacific State University. Nate Holden's son Chris Holden is currently serving as a City Councilman in Pasadena, California, and his son Reginald Holden is a Deputy Sheriff in Los Angeles County. Holden was born in Macon, Georgia and spent most of his childhood in Elizabeth, New Jersey. Holden is retired from public office and is now a consultant based in Los Angeles, specializing in government affairs. He is a member of the National Contract Management Association, NAACP, Urban League, United States Commission on Government Procurement and Crenshaw Neighbors. Website Design and Creation by Highroad L.A.